This past Sunday the Bombay Brunch Brigade met at Candies, in Bandra. We were blessed to have Teach for India fellows – Anaka, Srini, Resham, Shweta and Shalini join us along with children from their respective classrooms. The multi leveled sky-garden at Candies was the perfect setting for an urban picnic. It was wonderful to see some of the children dressed in uniforms and some in colourful informal gear. Anam quietly but cheerfully invited me to join her for some puzzle making. At the table there also were Aditya, Farhan, Hussain and Rohit. They were smart and competitive. In between slurping freshly squeezed watermelon juice and bites of mini red velvet cupcakes they pieced together Cinderella’s escape from the ball. After some puzzle making the kids played dog and the bone, an essential out-door party game. 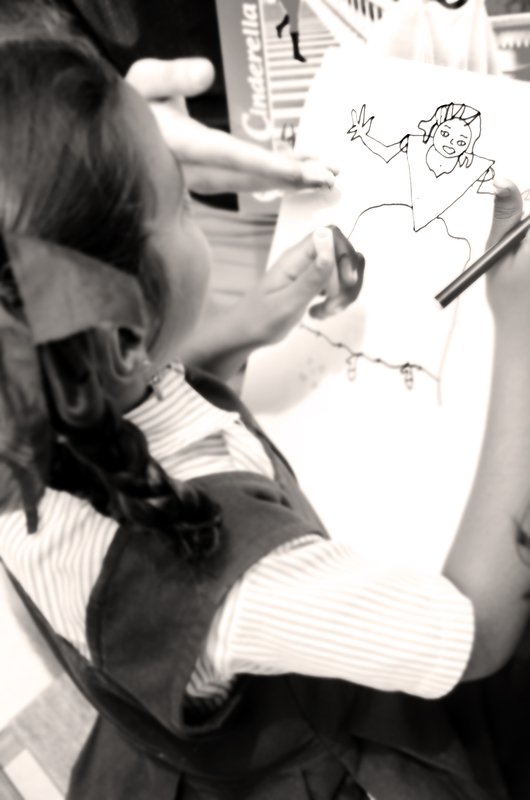 While most of the kids were playing, Anam and Zoya chose to doodle – Anam was determined on illustrating her own Cinderella. She made sure that her Cinderella was fashionable, wore a patterned dress that was paired with magenta pink gloves. 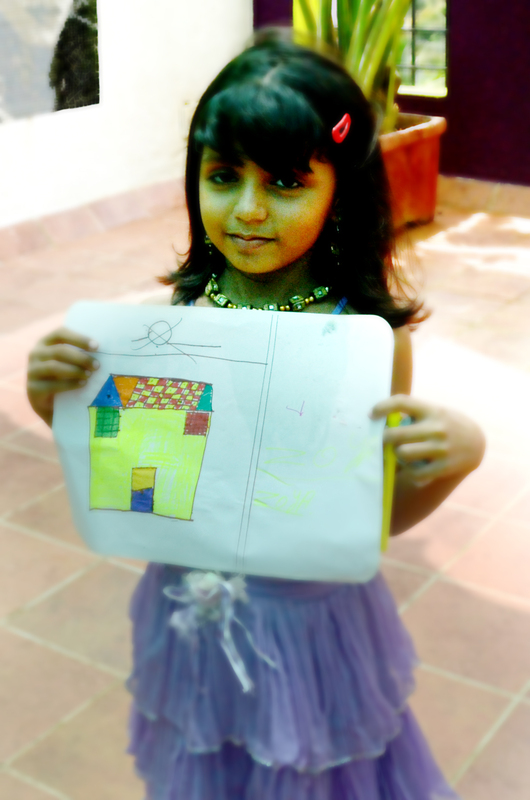 Zoya designed a colourful house that probably had a stained glass tiled roof with fluorescent yellow-green walls. Nasreen gleefully narrated the story of Cinderella for the group. I enjoyed the part when she exclaimed that when the fairy godmother casts her spell she says, ‘Abra Kadabra.’ Her enthusiasm had to be seen to be felt. One of the other TFI fellows, Anchal mentioned how teaching the kids has made him realize the importance of questioning everything and having an open mind that is curious. Interestingly I recently read somewhere that imagination is important for kids. It certainly is and most often we do not have to remind kids to imagine whereas we have to remind ourselves to be more creative and not worry so much about the result. This was a fun-filled brunch and I am looking forward to more picnics and collaborations with the kids at TFI. This entry was posted in Art, Design, Food and tagged Bandra, Bombay, Bombay Brunch Brigade, Brunch Paintings, Candies, Mumbai, Teach for India. Bookmark the permalink. Love this post, Jasem! Imagination is so important for kids AND adults! Yep 🙂 These kids were brilliant!